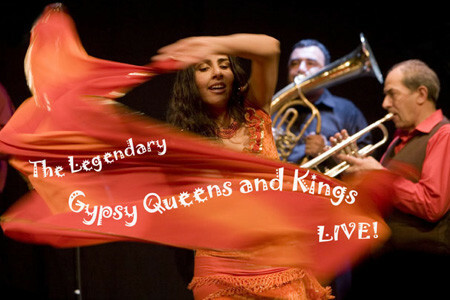 Fans of Gypsy music will be pleased with the news that Asphalt Tango are sending their "Gypsy Queens and Kings" artists on tour in Europe starting on 31st Jan in Riga (Latvia) and continuing throughout February into France, Holland, Germany and Switzerland. Sadly no UK dates have been announced, but Asphalt Tango will be recording the concerts in La Rochelle in France (4th & 5th Feb) with a view to releasing a live album in September later on this year. The line up includes Esma Redzepova, Mahala Rai Banda, Jony Iliev, Kaloomé and Florentina Sandu.